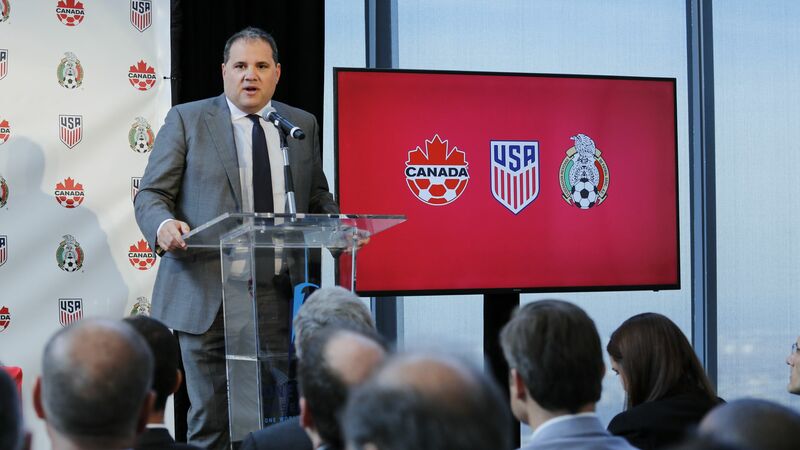 A joint bid by the United States, Canada, and Mexico beat out Morocco to host the 2026 World Cup, becoming the first time that the soccer tournament will be hosted by three countries, per The New York Times. The details: The vast majority of the tournament will take place on U.S. soil — with 60 matches in the U.S. (including the final), 10 in Canada, and 10 in Mexico. In the end, the decision likely came down to cash as the North American joint bid promised it could generate $11 billion in profits for FIFA, soccer's international governing body, more than double Morocco's projected profit.